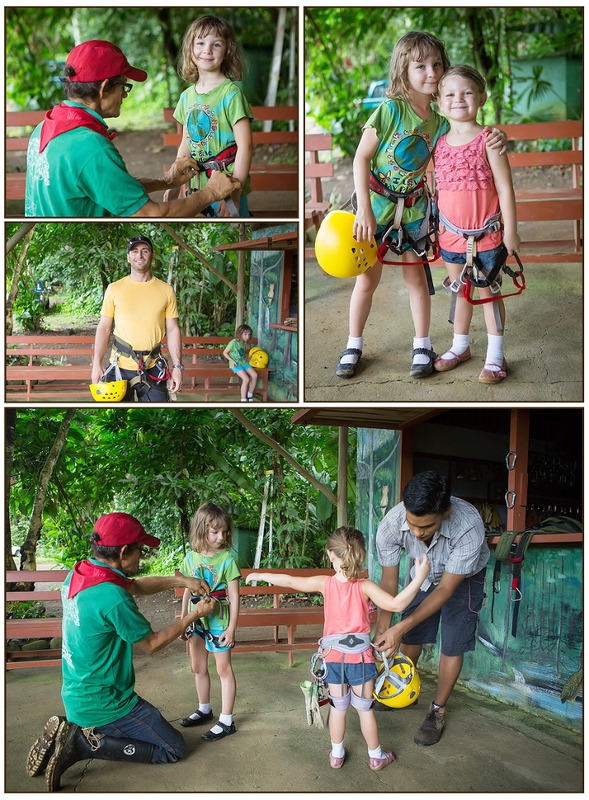 We couldn’t Leave Costa Rica without a rainforest zipline experience! The kids are so small though, that most of the companies couldn’t accommodate us. Fortunately we found one near Dominical that had a lower age limit of 4 so we were in luck. This operation was very child friendly and our guide spent a lot of time telling the girls all about the wonders of the forest with humor and patience. 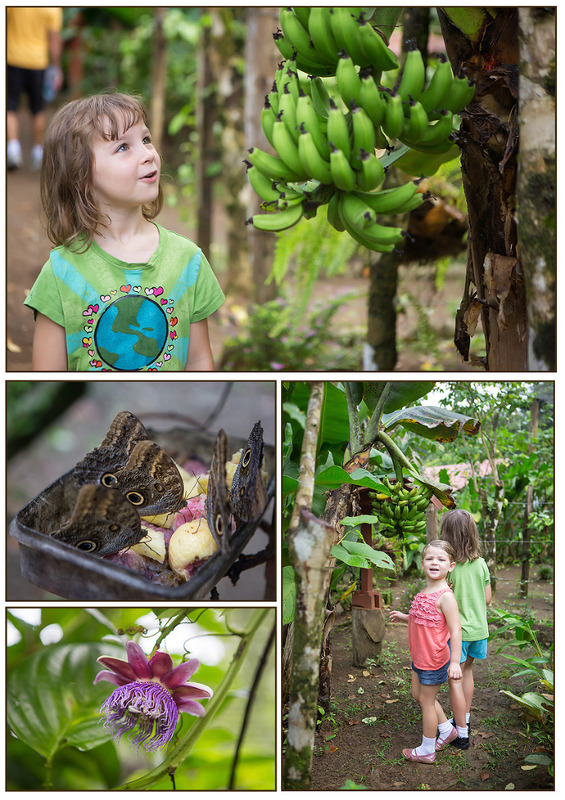 We started with a quick walk through the Butterfly Garden and a chance to see some banana trees up close. Then, we suited up…very exciting! Once we got up to the platform and prepared to jump I couldn’t believe how brave Skye and Claire both were, jumping into the air without hesitation. It was tough to stifle my mama bear protective instincts and let them do it…they looked so tiny hanging there! Erica - I was never a fan of ziplining but I’d give this a try! How adorable are those little girls! So brave. Conor - Eurgghhh….I’d say the kids loved the creepy crawlies! 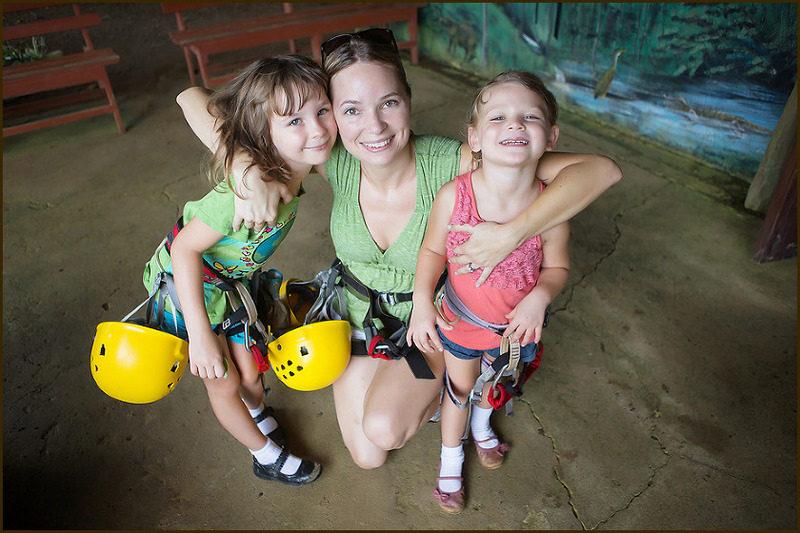 Stacey Valle - I’m glad that you found child-friendly zipline! They seem to accommodate with you and your family extremely well. I would love to come here if I was a child. It would be fascinating to learn about the animals and that cacao fruit! lucy - aww that must be so amazing!